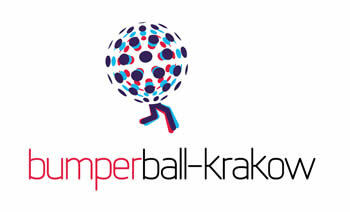 Home » Stag Party Krakow » Stag Party in Krakow – great idea for day time activity. Wedding day is one of the most memorable moments in our lives – that’s for sure. But sometimes there is even more incredible event before that day, and that is the stag party! Most people imagine that a group of some guys drinks all night and have fun in the numerous clubs. But is it all? You really want your stag party to concentrate only on getting wasted? If not we want to offer you a great entertainment that will definitely bring you and your friends a lot of fun! You just need to get on a plane and come to Poland, because what you need is Stag Party Krakow! You can start your fun weekend in Poland from sightseeing or visiting bars, but we want you to feel like a child again. What do we have in mind? A football match, but surely not an ordinary one! 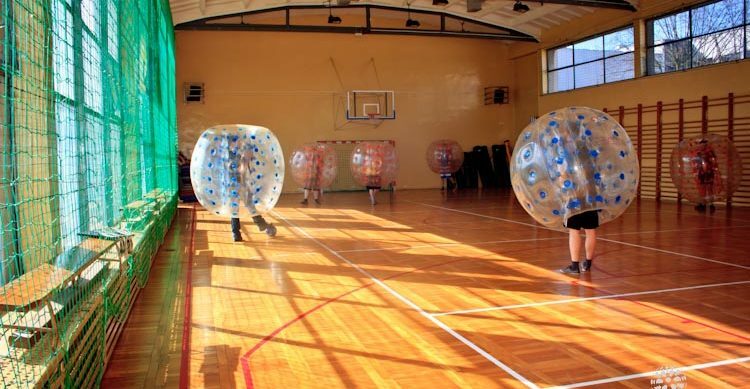 It’s the Bumper Ball or as some prefer to call it Bubble Football! 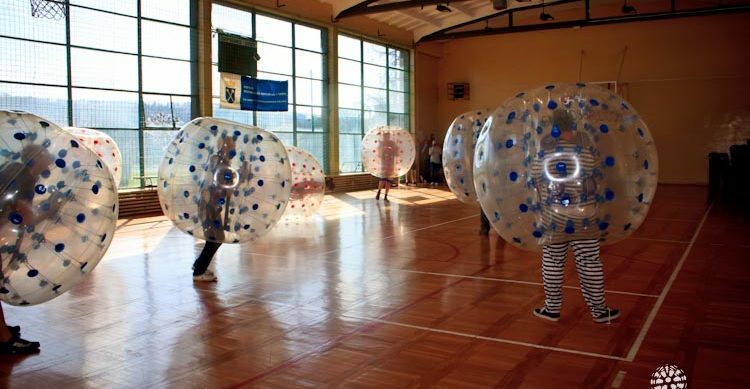 In this unique match players wear big inflatable plastic bubble balls, which makes playing football both harder and much more fun. With such equipment you may hit the opponent really hard and watch him fly away without a worry, as bubble ball will protect him from any injury. So what exactly can we offer you for your Stag Party Krakow? 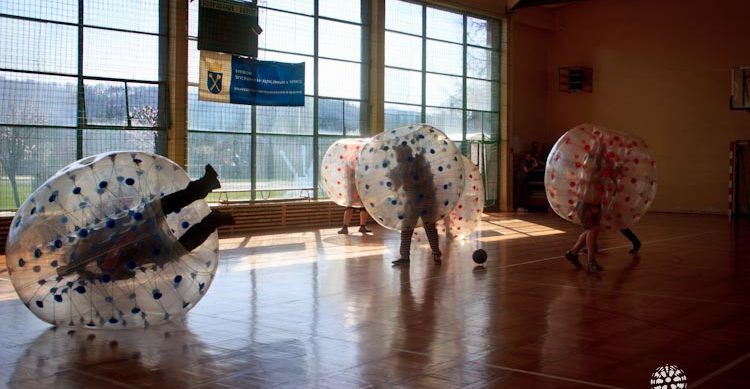 First of all, the rental of 10 bumper balls at a time, so you may play a match with 5 players in each team. However, we can also help you transporting them, booking the best venue for the event and animating your game, so it will be much more exciting. Of course, everything will be caught on camera by our photographer! Don’t waste your time and visit Poland, as Stag Party Krakow is the best choice for you!